Miss Matched and Marvelous: Ah! Something bit me! It musta been the craft bug! 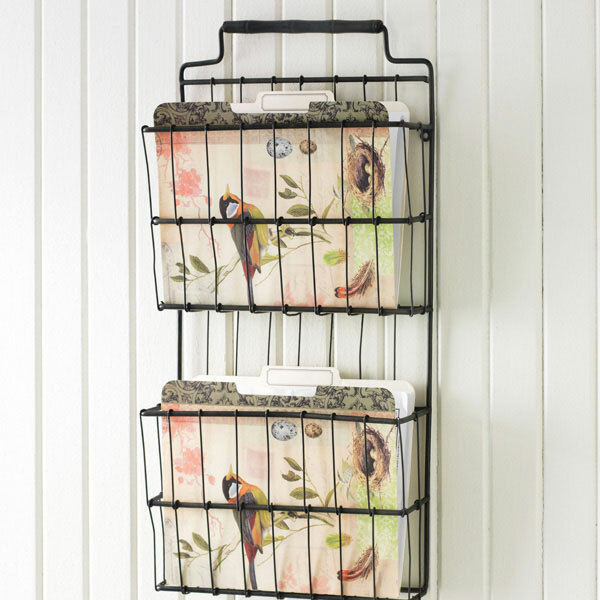 Remember the file holder I had a crush on a few weeks ago? I was sooo excited when I went to Mom and Dad's after a rough physical therapy session this week, and found Dad cleaning out his garage. He had some wire hanging organizers that thought hubby would like for his work shop. 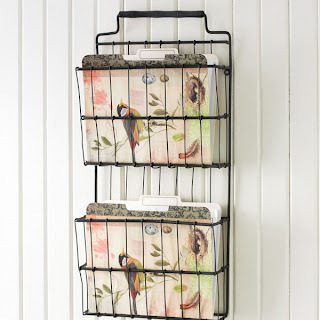 And in with them magazine/file holder.Do you hear my heart pitter patter? So now to find some file folders to house the oh so ugly bills that frequent my kitchen island. I have seen some out and about. But really only needed one. Not a pack of 3 or 5 and really didn't want to spend the $10. But with an overflowing accordian file of scrapbook paper...I knew I could come up with something more tuned to my taste and the decor of our home. LOVE LOVE LOVE the paper that looks like burlap. So realistic looking, and not so itchy! And it won't unravel! The turqouise has alot of depth to it. Its almost jewel like! I unfolded a used manila folder I had on top of my 12x12 paper. Knowing it wasn't going to cover the complete folder, gave me some flexibility to play with accessorizing it also! I traced the outline. Cut to size and then used my scrapbooking GLUE DOTS to adhere the paper to the folder. Did the same to the other side with the turqouise. I wanted to fancy up the unfinished edge so got out some of my ribbons. I loved them all. I'm linking to the following parties! Check them all out! There are some amazingly creative people out there! This is beautiful! I love how it turned out. So cute yet functional! Thanks for sharing at Fun to Craft's Spring has Sprung Party! Yummy spring time cookie goodness!